NWS says Tuesday's storms could include hail and tornadoes. Storms would exit the area Wednesday evening before another round is possible over the weekend. See the storms live and in more detail with NBC 5's S band radar -- available in our App. The springtime severe weather season is ramping up with more damaging winds, large hail and tornadoes in the forecast Tuesday and Wednesday, the National Weather Service says. 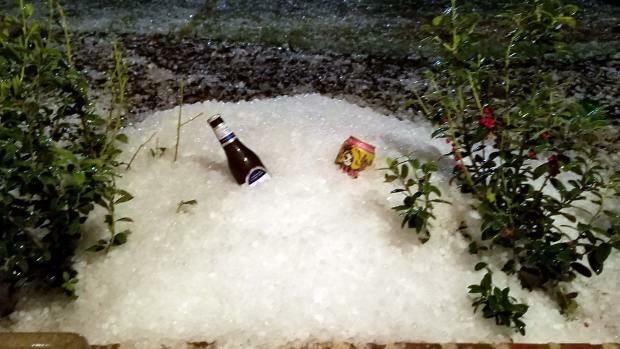 Sunday night, NBC 5 viewers reported hail ranging in size from dime and quarter-sizes to the size of golfballs and baseballs as storms left a trail of damage in Denton and Collin counties. Armando Canas said his truck was pounded by hail as he drove up Interstate 35E into Denton Sunday. 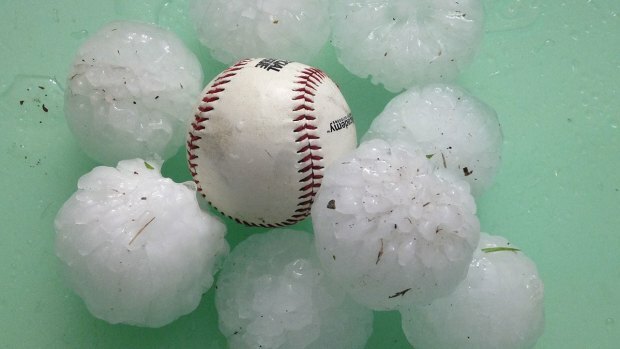 "It was really bad, baseball-sized hail. Everyone had to duck under the bridge, couldn't go anywhere or do anything," he said. 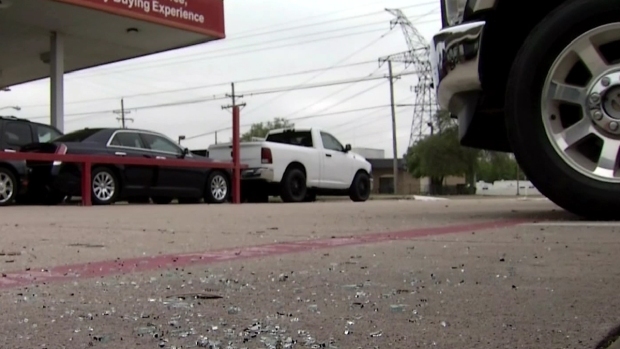 State Farm spokesman Chris Pilcic joins NBC 5 live via phone to discuss the claims process that follows sustaining weather-related damage to property. Other drivers weren't so lucky, as one showing hail damage to his truck that resulted in a busted windshield and pockmarks all over the hood. 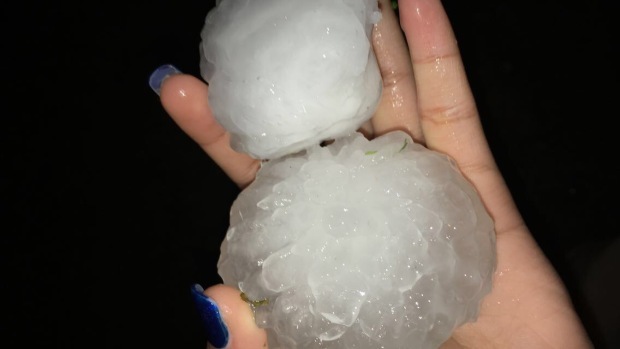 Little Elm Independent School District officials announced early Monday morning "all but 13 of the Little Elm ISD school buses were damaged and most are out of commission due to hail damage." Buses were expected to run their regular routes two and a half hours behind normal schedules Monday morning as buses from neighboring districts were brought in to help. School start times were not affected. 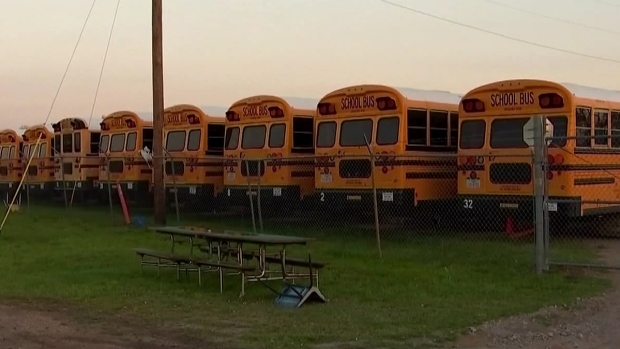 Little Elm Independent School District spokeswoman Pat Robbins joins NBC 5 via phone to discuss how storms damaged dozens of school buses and the effects moving forward. 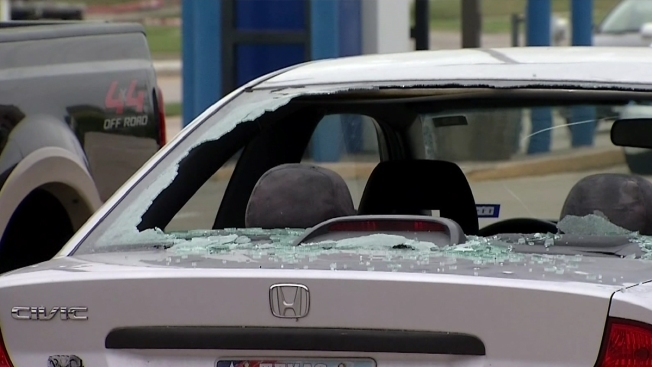 The damaging hail, the size of golfballs, then moved into Collin County and drivers took shelter wherever they could. 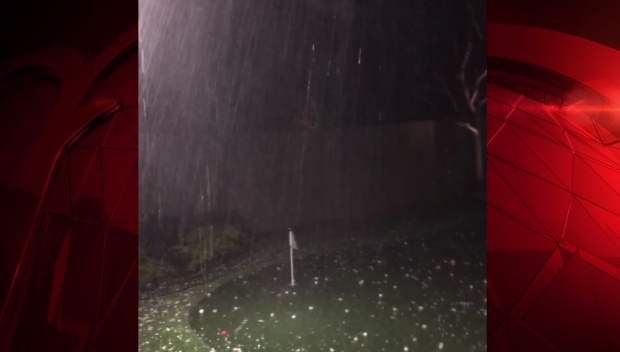 "It was about golf ball-sized hail," McKinney resident Lane Meyerdirk said. "It was pretty quick, came through about 10 to 15 minutes, started raining again, then a little more hail came through and it stopped pretty quick, but everybody was looking for shelter." Meyerdirk tried to protect his pickup from the hail and took shelter at a bank drive through. "I've seen a lot of hail, but this was the biggest I've seen in a while," he said. The NWS's Fort Worth office said Monday storms Tuesday will develop midday on a West Texas dryline and will enter North Texas during the afternoon. Large hail, damaging winds and tornadoes are possible. Tuesday night, evening storms will redevelop along the dryline and congeal into a line moving east where the threat will be primarily wind. The storms may weaken Wednesday morning along the I-35 corridor. Wednesday afternoon another round of severe storms is possible east of the I-35 corridor. Storms that develop late Wednesday will exit the Metroplex that evening. Storms that moved through North Texas left behind damage in Denton and Collin Counties on Sunday, March 26, 2017. Parts of Collin County were pounded by hail Sunday, March 27, 2017. Get the latest forecast from NBC 5's team of Weather Experts here.